Attorney Joanne Baitup is a graduate of Valparaiso School of Law. She received her Juris Doctorate and a Master of Arts/Psychology in December of 2004. 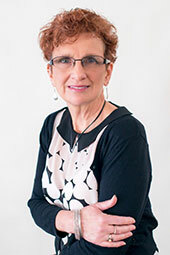 She has a Bachelor of Science in Business Administration/Accounting from Wheeling Jesuit University and a Master of Science in Organization and Management from Capella University. Attorney Baitup was admitted to the Indiana State Bar in May of 2005 and is also admitted to practice in the United States District Court for both the Northern and Southern Districts of Indiana. Attorney Baitup is an active member of the Indiana State Bar Association and is on the Indiana Docs Committee for the ISBA. Prior to the establishment of her firm Attorney Baitup practiced exclusively in the area of consumer bankruptcy for a large nationwide consumer bankruptcy firm, Legalhelpers, for four years and practiced for one year as an associate for a small, highly respected family law firm, Levy & Dubovich, in Highland, Indiana. Attorney Baitup is an active member of St. Teresa of Avila Catholic Student Center where she serves on the Pastoral Council. She is the mother of four grown children and an avid runner, active in the Calumet Region Striders, she also enjoys reading, sewing, and spending time with family and friends.